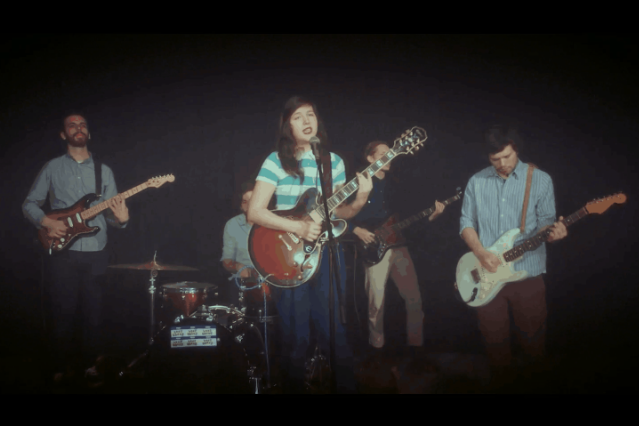 Lucy Dacus melted more than a few hearts with her debut record (and SPIN Album of the Week) No Burden, and she’s back today with a new video for lead song “I Don’t Wanna Be Funny Anymore.” Set in a location that looks awfully like an awkward high school talent show, the clip features members of the audience (who are, in fact, creative professionals from Richmond, Virginia) lip-syncing to Dacus’ very relatable lines. Best of all, the entire thing looks like it was shot with the same camera used for ’70s school portraits. Watch below.